La Luna (Spanish for moon) is this beautiful soft yellow, late blooming Dahlia that has the perfect name. Its big flowers are like having constant moonglow in your garden. For me, as a moon lover, this is a must have this year. 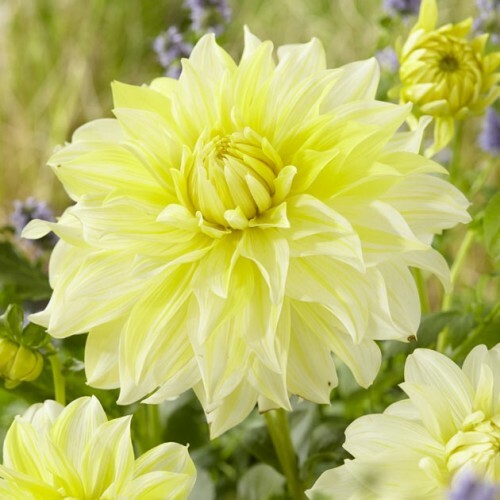 Tall in stature and big in flower, definitely moon-worthy. Super tall and with 10" blooms La Luna takes the cake. In fact, it does rather remind us of Lemon Chiffon cake…yum!